Pulling out an oldie from J.Crew today. 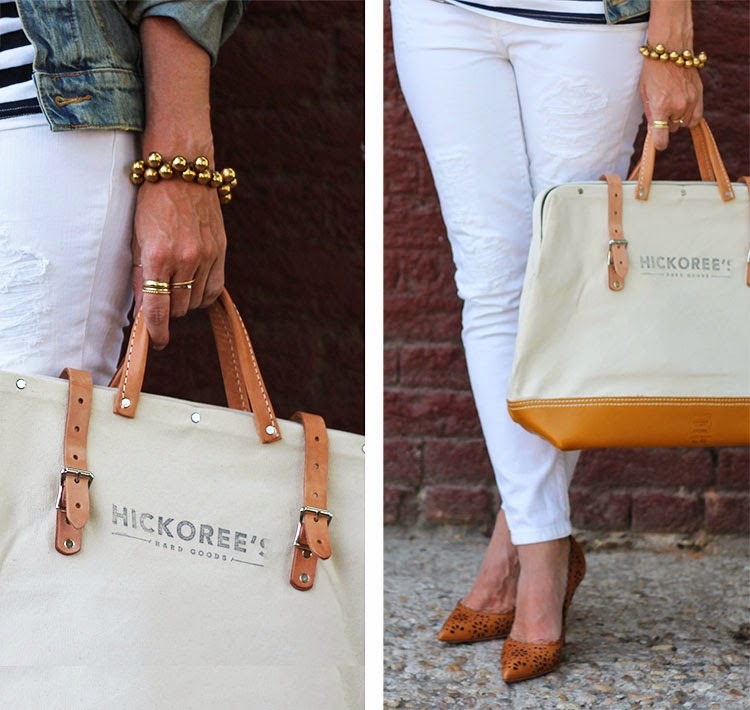 Back in 2010, J.Crew partnered with Hickoree's Hard Goods and this is one of the totes in the collection. I always love the J.Crew's "In Good Company" section, I always find some new favorites. Love this look! And that bag is to die for!! Gorgeous outfit! I adore the stripes! Such a great outfit! I love J.Crew! 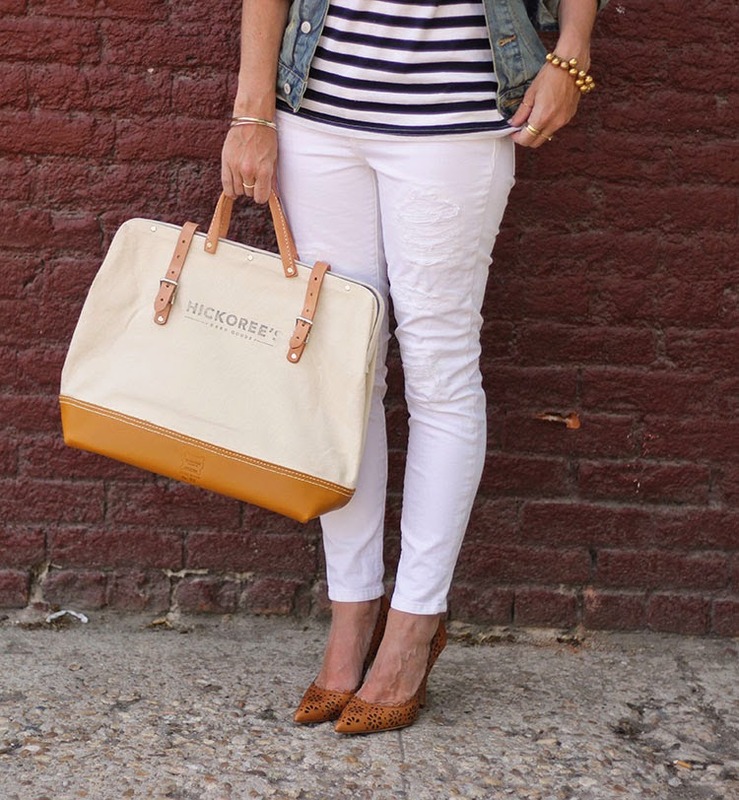 Love those white skinnies! I have a similar pair from Bohemian Traders here in Australia. Gosh I love me a bit of online shopping! Beautiful outfit. Love the shoes too! I absolutely love every single piece of this outfit! Love this chic look! 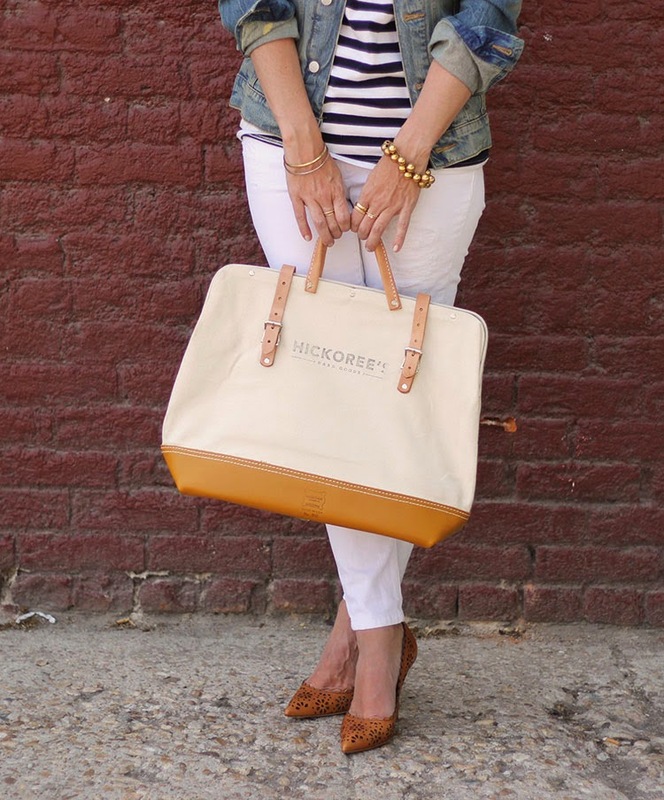 That bag is perfect! 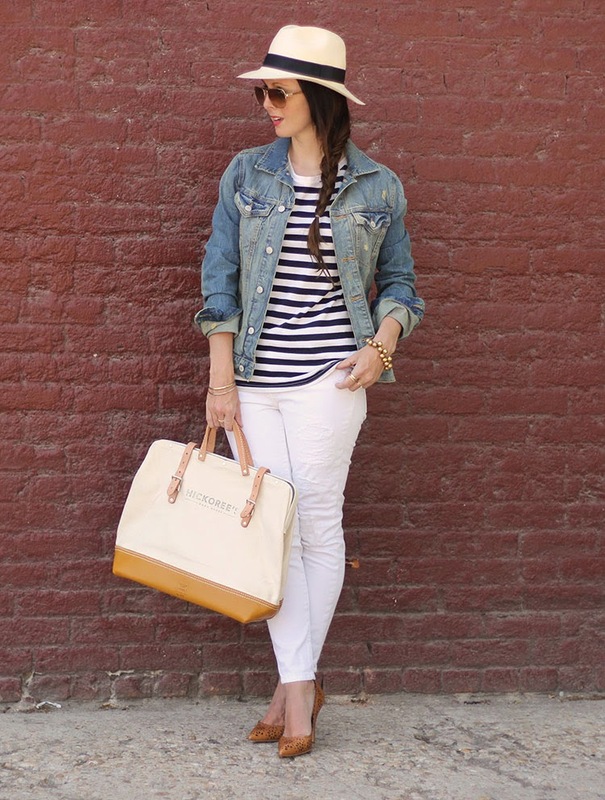 This is such a great summer outfit! I love your accessories, especially that bag! The thumbnail of this outfit caught my eye. Then I read "J Crew and Kate Spade" and it all made sense. No wonder it's perfect! 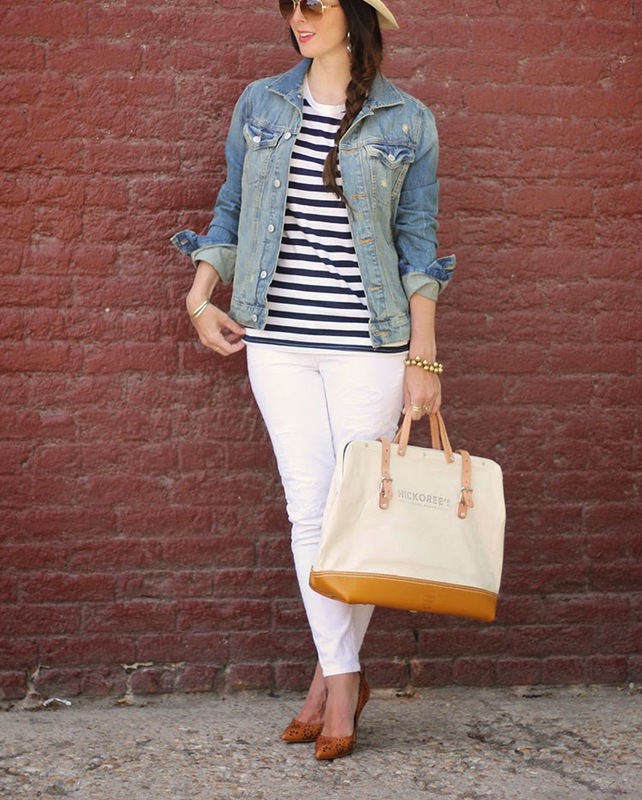 stripes and denim jackets are the perfect combination.